Fitxategi:Pariambus typicus.jpg - Wikipedia, entziklopedia askea. Aurreikuspen honen neurria: 800 × 600 pixel. Bestelako bereizmenak: 320 × 240 pixel | 640 × 480 pixel | 1.024 × 768 pixel. 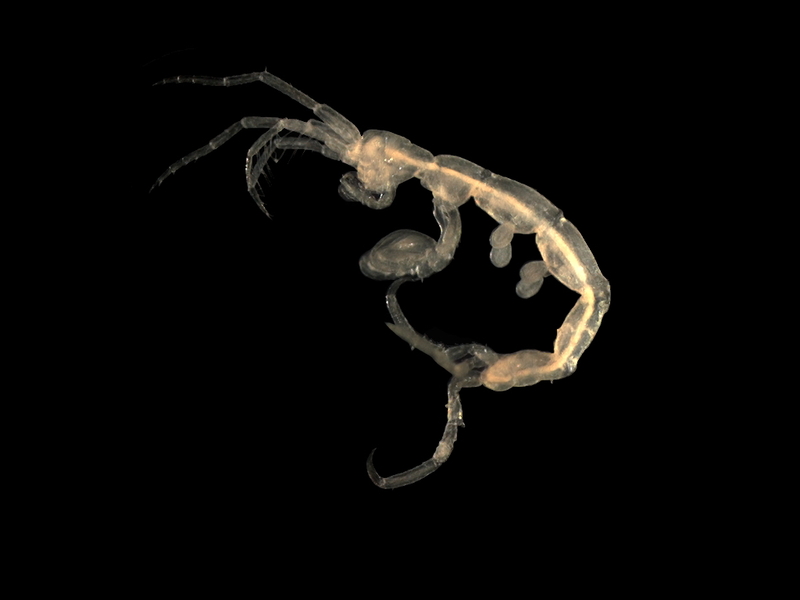 English: Caprellid amphipod, taken with Axiocam (Zeiss) camera mounted on a Zeiss Stemi C-2000 binocular microscope. This caprellid was sampled on the Belgian Continental Shelf in 1999. Français : Pariambus typicus, prélevé sur le plateau continental belge en 1999. Photo prise avec un appareil Axiocam (Zeiss) monté sur une loupe binoculaire Zeiss Stemi C-2000. This image has been assessed under the valued image criteria and is considered the most valued image on Commons within the scope: Pariambus typicus. You can see its nomination here.